What Tops Should You Wear For Boxing, MMA, Muay Thai and Other Combat Sports? Martial Arts like Karate, Jiu Jitsu and Taekwondo all have set uniforms to wear – but what do you wear if your combat sport doesn’t have any set rules? Perhaps you’ve seen people wearing different things in the gym and aren’t sure what the benefits are. We’re here to run you through a couple of options. When training you can – and many people do – wear regular T-shirts, tank tops or anything else. 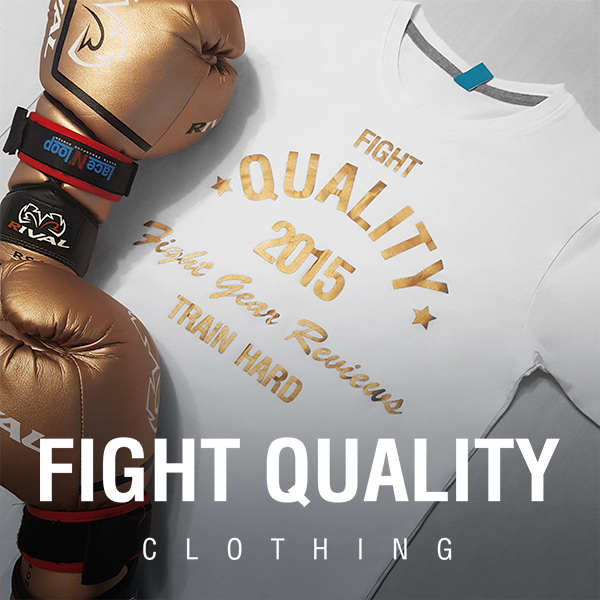 When you’re first starting out it’s a lot easier to wear just a regular T-shirt, and even later on most people like wearing T-shirts with gym branding, or great designs such as the ones available at Fight Quality Clothing. While you can wear any T-shirt, it’s often best to set aside specific tops as training (and the constant amount of sweat it will soak up) can trash otherwise nice clothing. It’s also best to try to stick with clothing which is well fitted to avoid any excess material. Breathable T-shirts are a great option to go for, as they’re specifically designed to be used for a range of sports. They tend to have the same fit as your typical T-Shirt, but use different materials such as polyester blends in order to let moisture travel through the clothing rather than absorbing into it, drastically reduce the amount of sweat soaked up during training. Breathable T-shirts are a little harder to come across, although there are still some great options out there. We have our own FQ Breathable Training T-Shirts which make a great option for harder sessions. The problem with both options mentioned previously is that they often aren’t fitted very closely which means fabric can end up getting caught when sparring. There’s nothing worse than getting your foot stuck on somebody’s loose, wet t-shirt when you teep them in the stomach, trust me. Compression tops are skin tight shirts made with a slightly thicker fabric. Because of the compression the clothing provides, studies have shown a number of other benefits including keeping the muscles warm, wicking sweat away, reducing friction and reducing the time taken for muscles to repair themselves. For women, there are also a range of different fits to choose from. Rashguards are similar to compression tops in terms of shape and fit, however they’re actually specifically designed with grappling in mind, which makes them one of the best options for MMA fighters. Rash guards are typically created with more panels than compression tops in order to restrict movement less, with more attention paid to the strength of stitching to improve the durability overall. The other benefit to rash guards is simply the amount of unique designs out there. Every BJJ brand has a range of unique, bold and highly visual designs.